Established since 1983, Sci-Tek Instruments are widely recognised as the UK’s leading independent laboratory instrument sales and service organisation. Specialists in HPLC, GC/MS, ICP, AA, Plate Readers & Spectrophotometers, we are well positioned to offer industry-leading service quality and response times. Our relationship with manufacturers of instrument spares and consumables enables us to provide the best possible price and service without any compromise on quality. Sci-Tek Instruments can support a large range of other laboratory instrument types, and a have established relationships with other specialist companies to provide a complete one-stop-shop for all your laboratory instrument support requirements. Services include preventative maintenance, breakdown repair and calibration/qualification. 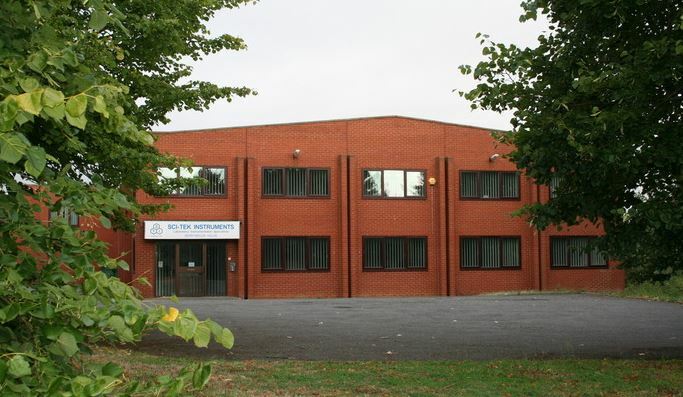 Our modern premises in Olney, Buckinghamshire have fully-equipped workshops for the repair and testing of instruments when on-site service is not viable, and instrument demonstration rooms configured for multiple instrument types. We sell a complete line of instrumentation, including HPLC systems, ICPs, UV/VIS Spectrophotometers, FTIR, Gas generators, and much more! Both new and used instrumentation are available, as is instrument leasing options. An extensive range of instrument spares, accessories and consumables are always stocked for fast delivery, at competitive prices. Sci-Tek offers a range of support contract options, to suit all requirements and budgets. Additional benefits granted to contract holders include priority guaranteed response times, loan instrumentation where necessary, and discounts on accessories and consumables. For your peace of mind, Sci-Tek Instruments is ISO 9001 accredited.